This is a sauce of my own invention as an alternative to Tartar Sauce , not found on the original Glen-Mor Restaurant menu. 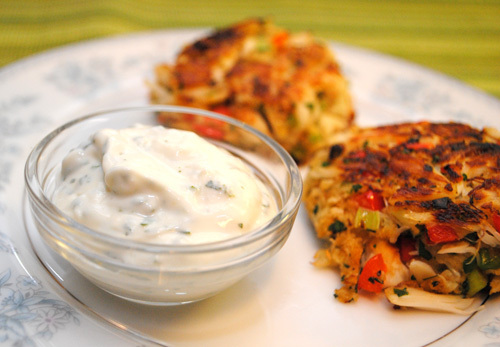 The sauce on its own is tangy and is a great accompaniment for Crab Cakes  and Cod Fish Cakes . Juice the lemon and combine with all remaining ingredients in a small mixing bowl. Stir with a whisk until well combined. Serve with Crab Cakes , Cod Fish Cakes , or similar dish. Keep refrigerated.